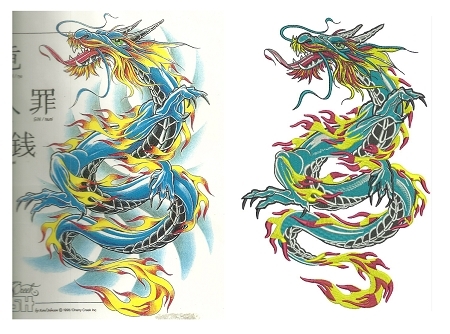 We take great pride in 13 years of experience in the field of Digitizing & Vector art services. We specialize in digitizing Left chest, Hat & Jackets back logos. There are many limitations in embroidery as to how well it can do to reproduce gradient colors, shadows, tiny details, small letters, multiple layers of outlines. to name just a few. Experienced digitizers know what need to be simplified or modified, what need to be enlarged and what need to be eliminated if any. When the artwork is ready, the digitizer must decide on the sequence of stitches in the design from start to finish, called "patching". patching can affect the final quality of the embroidered design. An embroidery design with improper patching may result in unwanted gaps, uneven lettering, fabric puckering and shifting, hence a poor stitch out. In a small design this may not seem to be a problem, but when dealing with more complicated designs, the differences are prominent. Moreover, experienced digitizers know that even the same design may be done differently for chest and for hats in terms of patching, let alone other factors. Properly laid patchig is also a factor on how long it will take for the design to be embroidered - obviously a smoother design produced in shorter time costs less. Next, the digitizer must decide on the stitch types for each section/element of the design. These include fill stitch, satin (column) stitch and running stitch, and their variations. Seems easy? Not quite. Skilled digitizer will know what stitch type will bring the best look to the design, the direction of the stitch, the density, the amount of under laying stitch... and more, depending on the type of fabric, the color of fabric, what is to be sewn on top of this stitch section, etc. Last but not least, there is this factor called "compensation" to consider. More specifically, there are "pull compensation" and "push compensation". These are embroidery digitizing techniques used to counteract/compensate the distortion (pull or push) caused by the interaction of the needle, thread, backing and machine tensions. It may be easy to understand these factors, however, by how much certain areas of embroidery section needs pull or push compensation is again dependent on the experience of the digitizer. Usually 24hr turnaround to get the logo ready Monday thru Friday.